Niinisaari is a vibrant village in the southern archipelago of Puumala. Even if you are not renting a cottage with us this time, Niinisaari makes for a great day-trip for visitors of all ages. Get into the mood by taking the cable ferry to the island. The cable ferry is in service all year round, 24 hours a day. Read more about Niinisaari and the local area on the Puumala archipelago villages website. 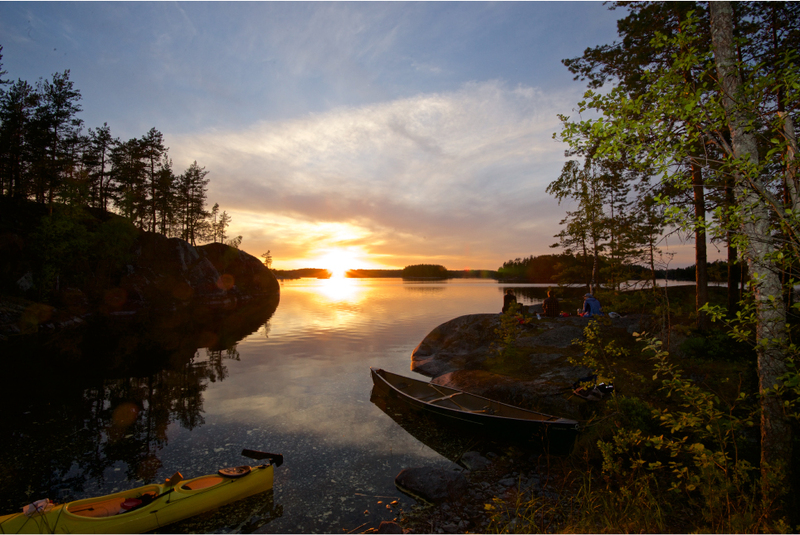 Fun on the water – canoeing, rowing and fishing or spotting the famous Saimaa Seal! Every cottage has its own rowing boat, and you can also rent an ecological electric motor (1.2 hp) for extra power. Alternatively, you can rent a more powerful Suzuki outboard motor (2.5 hp) that runs on petrol. The prices are listed here. No fishing permits are required for hook-and-line fishing and ice fishing. Experience has shown that the best winter perch catches have been made from the end of the pier. Ask us for equipment if you do not have your own. 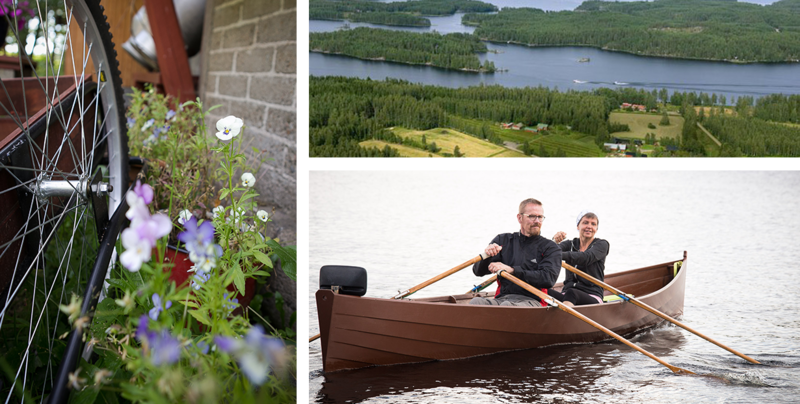 The neighbouring farm, Hanhiniitty, rents out Canadian canoes and kayaks and offers guided family canoeing trips or day trips to Rokansaari. 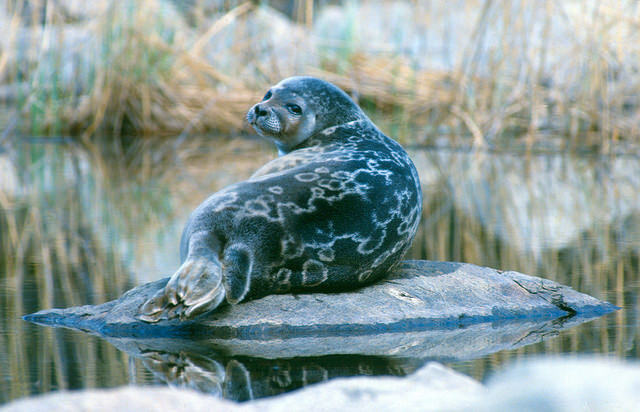 You have a very good chance of glimpsing the famous and rare Saimaa ringed Seal in Arto´s Seal Watching Cruises! A pleasant destination to get to by rowing boat or canoe is the nearby Rokansaari island, which can only be reached by boat. The island has a popular sandy beach and a barbecue area. The island also has signposted nature trails and a summer café open at weekends. 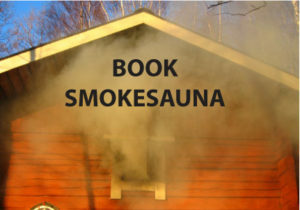 The public sauna on the island is heated almost daily in the summer (sauna fee: EUR 2 per person). If you would like to go on a guided fishing trip on Lake Saimaa, ask at reception. Our partners will arrange a fishing trip on Lake Saimaa to suit your requirements. 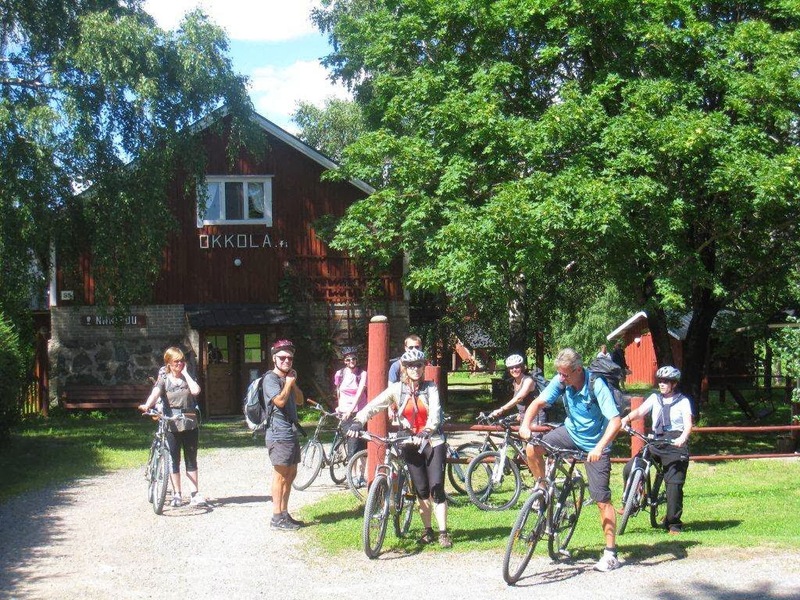 The Metso well-being trail (1.5 km) begins in the grounds of Restaurant Niinipuu. The signposted 1.5 km forest path is ideal for independent walking and relaxation. There are various task points along the trail. 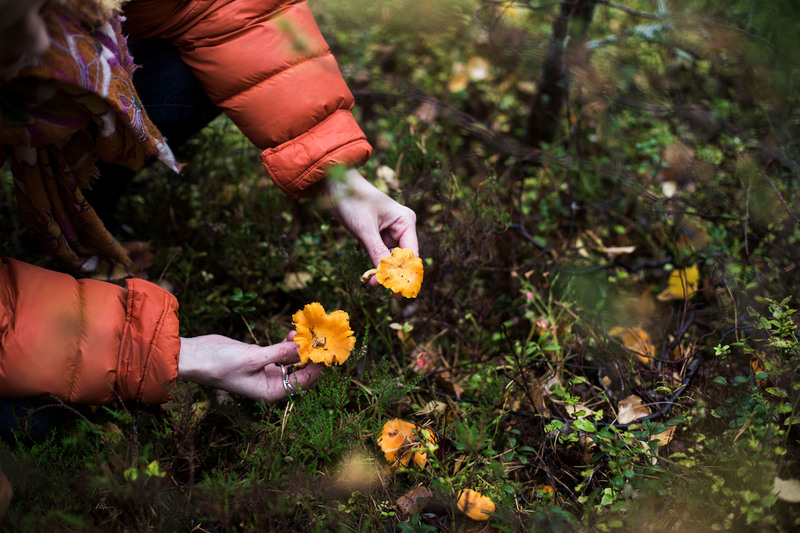 There are endless opportunities for picking berries and mushrooms in the areas surrounding all of the cottages. Respect Everyman’s rights in Finland: we always respect the environment and our neighbours when we are in the great outdoors. Remember to only pick edible mushrooms. There are 4 kota huts in the Okkola area, and our guests are free to use them. Remember to tidy up after yourself. The local area has several hiking and cycling routes of various lengths, suitable for relaxed activity. The Niinisaari nature reserve (22 hectares) contains a signposted nature trail (approx. 2.5 km), which can be accessed from the grounds of the Liehtalanniemi museum farm. The museum farm also has a guest pier, cooking hut and a canoe landing place. 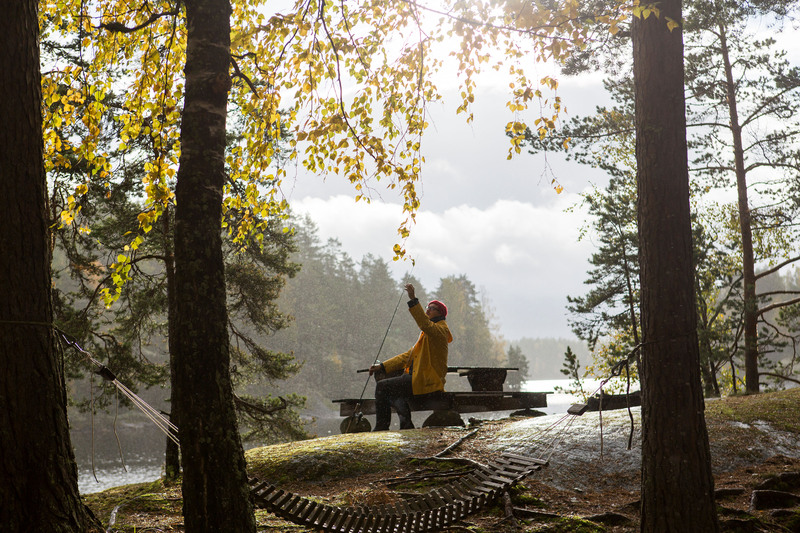 Follow the Saimaa seal trail (13 km), which winds along the shores and cliffs of Kitulanniemi peninsula and the shores and cliffs of Kotkatsaari island in the natural surroundings of Lake Saimaa. The ring route is marked by yellow ribbons on the trees. The path passes through forest terrain and partly along shoreline cliffs. It is not suitable for less able walkers. The path goes past sandy beaches for swimming and a campfire site. Puumala offers its best to cyclists. The Puumala archipelago route opened in summer 2017 – 60 km of beautiful Lake Saimaa nature and individual tourism services along the way. Find out more here. Check the Puumala by bicycle map for more cycling routes – there are seven recommended routes to the best places in Puumala. Puumala has several wonderful natural sites, including caves and glacial erratics. For more information about the Loketonvuori canyon, the Rakokivi glacial erratics and the Ryhälä Devil’s Church consult the Puumala nature sites map. In Ruokolahti, the Kummakivi glacial erratic is well worth a visit. Kummakivi is a glacial erratic boulder approximately seven metres in length, resting on a narrow-bottomed rock platform on such a small surface area that the boulder almost appears to move. Geocaching is also popular here – the caches in Puumala are shown here. There is plenty to do in the winter on Puumala’s cross-country skiing tracks, where the stunning landscapes and height differences will refresh the mind. Choose from the Rokansalo cross-country skiing routes (30 km and 40 km) or the Viljakansaari hiking and cross-country skiing routes (10 km and 20 km). Other cross-country skiing tracks include the parish village’s illuminated fitness trails/cross-country skiing tracks (3.4 km–10 km). 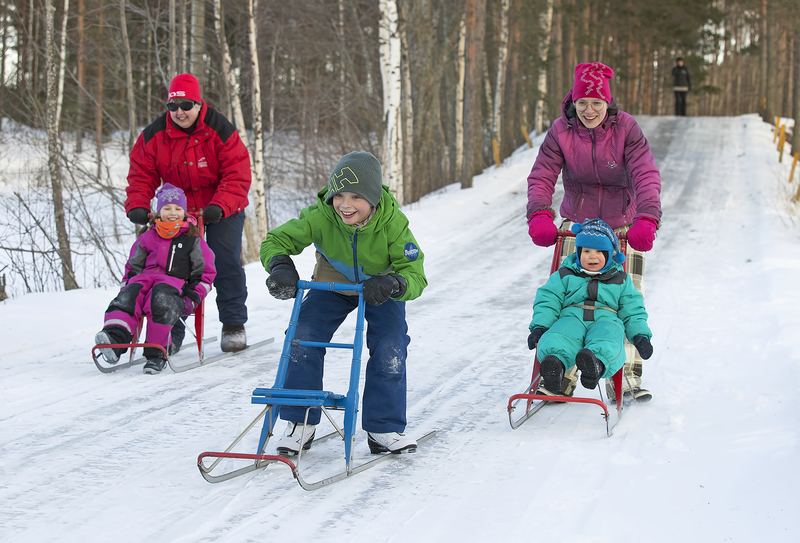 Weather permitting, there is an ice track between the parish village and Sahanlahti (10 km). There is an illuminated fitness trail/cross-country skiing track (2.5 km) in Hurissalo. Further alternatives for ice skaters include the Puumala school centre’s ice skating area (also suitable for smaller skaters) and the ice hockey rink next to the sports hall (Vanha Puumalantie 4 C). Weather permitting, there is also a tour skating route from Sahanlahtito Särkiranta. This is an unofficial route maintained by volunteers. Skaters use the route at their own risk. The Puumala Archipelago Route – a new 60 km cycling route through the most beautiful scenery around Lake Saimaa. You can find more activities, sights and services from the regional travel boards!